“You’re looking at Act One, Scene One, of a nightmare, one not restricted to witching hours of dark, rainswept nights. Professor Walter Jameson, popular beyond words, who talks of the past as if it were the present, who conjures up the dead as if they were alive. What would you do if you knew someone that was actually many, many years older than they appeared? Someone who knows history and world events, of times long ago, as if they lived it personally first hand? A person who has a front row knowledge and definable insight of things that in the history books, still remained speculation, unsure and uncertain? French actor and renowned thespian Edgar Stehli (The Brothers Karamazov), who plays Prof. Sam Kittridge, has this very problem and dilemma, in this thought provoking episode, from that incredibly profound first season of Rod Serling’s The Twilight Zone. This episode was written by the eclectic Charles Beaumont (The Intruder, Masque of the Red Death) and directed by Tony (Or Anton) Leader, who brought us the over maligned “Children of the Damned.” Leader uses Beaumont’s story to tell a very introspective and surreal tale of immortality and suspicion laced with some biting commentary about aging and academia. Kevin McCarthy (The Howling, Innerspace, Invasion of the Body Snacthers) plays a College History Professor named Walter Jameson, who has picqued the curiosity of Prof. Kittridge, with his vivid, animated and factual accounts of the horrific days of the Civil War between the north and the south. Jameson, who is courting Kittridge’s daughter, Susanna (Dodie Heath of Brigadoon), has been able to conceal his secret from Kittridge but not for very long, much to Kittridge’s credit. Kittridge succcessfully figures out that Jameson is not just astute at history but is an actual witness to it all. Kittridge hangs onto his suspicions of Jameson despite his contrary forewarning. 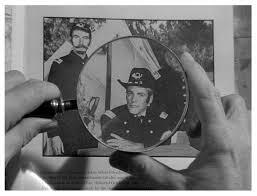 Kittridge, upon seeing an old photo of Jameson, in his military garb, during the cival war, confronts Jameson at his home during dinner. Kittridge, looking after his daughter, who is also on her way to becoming a Teacher on her own, forces the truth out of Jameson and he is left with no other choice but to admit that he is indeed, an immortal. Someone who is old enough to have known Plato himself (Who Kittridge happens to have a bust of, in his living room). What follows is fantastic and is chock full of classic Twilight Zone machinations. A character study, in just 30 minutes, that is astute, dramatic and very brusque in all of it’s shadowy trappings and theatricality. McCarthy gives one very impressive performance as Jameson, who is very tired of immortality and eager to move on with acquiring a mate to live out the next stage of his life. But Kittridge wants Jamesons’s secret to his longevity and we learn that Jameson does not have the power to pass it on to others (unlike a Vampire) and exclaims to Kittridge that he would not want immortality once he already old, like he is presently. 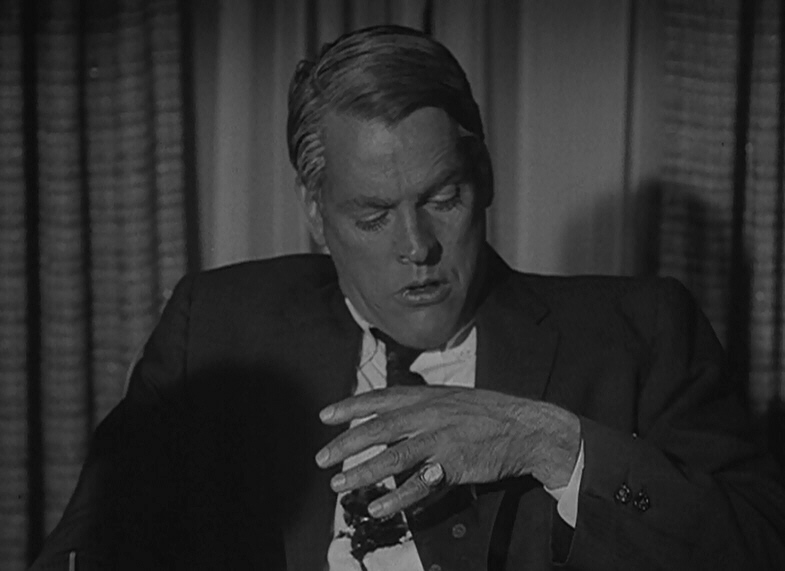 The episode, like many others from this spectacular first season, is shot much like a feature film. Moody lighting, provoking composition, good production values and, of course, that inimitable sense of fear and dread. It is a other-worldy vibe that is rich in melodrama and moving showmanship. We feel deeply for Kittridge as he wants to be youthful and immortal, but know, like him eventually, that it will escape his grasp because Jameson, the true tragic figure here, cannot give him what he wants. When Jameson retreats back to his home, after telling Kittridge that he does intend to marry Susanna, he is confronted by an old woman seen earlier in the episode, lurking in the shadows, watching over him. Actress Estelle Winwood (The Producers, Murder by Death, Camelot) plays one of Jameson’s long lost lovers, who has grown old but has never quite given up on trying to find the ever youthful Walter Jameson. The late sequence in this episode, which involves their confrontation, is the most gut wrenching moment of this story. And what folloows, with Kittridge and his daughter makes for great tragedy as Beaumont’s tale comes to it’s appropriate close. McCarthy’s aging process, in the finale, has to be seen to be believed. Using classic film techniques to overlap shots over shots, the special visual and make up crew also used lighting to simulate Jameson’s untimely aging. Red, blue and green lights come into play (even though we only see it in b & w) with grand believe-ability and drama to reveal the age lines etched in McCarthy’s face. 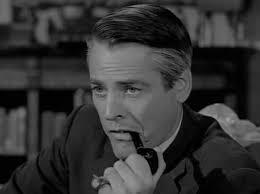 “Long Live Walter Jameson” is indeed one of the gems of the enduring first season that is both full of unique mood, chills and versatility while remaining true to the mythos of the unknown, un-forseeable and unpredictable world that inhabits the ever present area know only as …The Twilight Zone. Believe it or not I watched this for the first time on Netflix a while back and I was surprised at how seriously Walter was portrayed in the issues of living a long time. I’m shocked it wasn’t more hokey. Yes! Exactly! It was definitely taken more seriously than other stories among that first season. 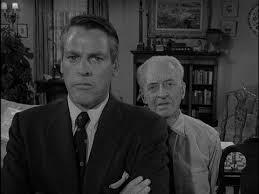 Walter was a true tragic figure and if were treated less than important, the episode would have been corny, indeed. Thanks for stopping by, Eric! Much appreciated bro! Great review of this brilliant episode from the first season of the Twilight Zone, love these classic episodes! I have the entire series on DVD. This episode is my favorite. The dialogue between the two men after dinner is fantastic. The direction is impeccable as well. Their faces and body language are perfect. And the story is so *deeply* philosophical. Stripped of everything else, it’s about life and death — more specifically, about accepting death, death as a part of life. I do have one question about your article. In what way was the episode a biting commentary on academia? I must admit that I didn’t pick up on that. In retrospect, I’m not too sure if “biting” was the appropriate word to use, but I felt that it was quite timely and astute of Beaumont to position his story, in part, in an institution of higher learning and how he positioned his players in an almost chess-like environment (much like the after dinner exchange you mentioned) was amazing. I suppose it was how Kittridge would sit in on Walter’s classes, almost looming like a spectre, in order to perpetually yearn for more knowledge about Jameson and the part he played in the civil war. Kittridge proved Jameson’s foil, somewhat, because of that internal academic curiosity. He would not give up until he had his answers and the parallel between that and how a true academic would react to such knowledge really struck a chord with me. Were this story not within the trappings of education and of course, philosophy, would it have been as intense or thought provoking? Possibly not but it depends on the viewer, of course. I appreciate the feedback. I love this ep and re-watch it often. One of my favorites of that excellent first season. Thanks for stopping in and reading the review, Dan!